“Westworld” episodes were up again on April 22, 2018 and spending your past year lurking on Reddit is indeed not a waste of time. This is because of brushing up your Dolores – the Westworld’s oldest functioning host. Westworld happens in two phases namely 30 years ago and present. However, for Dolores Abernathy (Evan Rachel Wood), it appears that this is her third phase. This is based on the fact that it is now five years down the line since she had a conversation with Arnold. His journey appears clearly when captured within the phases, 35years ago, 30 years ago, and present. Let’s dive into the three phases so as to decipher what exactly happened. The 5 years ago phase is discovered by Robinson. He’s the one who together with Dr. Robert Ford founded the park. You will notice that Bernard was to be the replica of Arnold, whereby all appearances of Bernard was actually Arnold. As this timeline unfolds, we are brought to a bloody event. It is during a massacre in town when Dolores killed Arnold. It’s now all downhill, and Arnold convinces Dolores to go off script and kill a number people. The evil plan by Arnold was a trick geared towards shutting down the park. The utterances of Arnold triggered Dolores act “these violent delights have violent ends.” The statement seemed to reveal the cold side of Arnold. The statement seemingly leads to many other subsequent happenings. 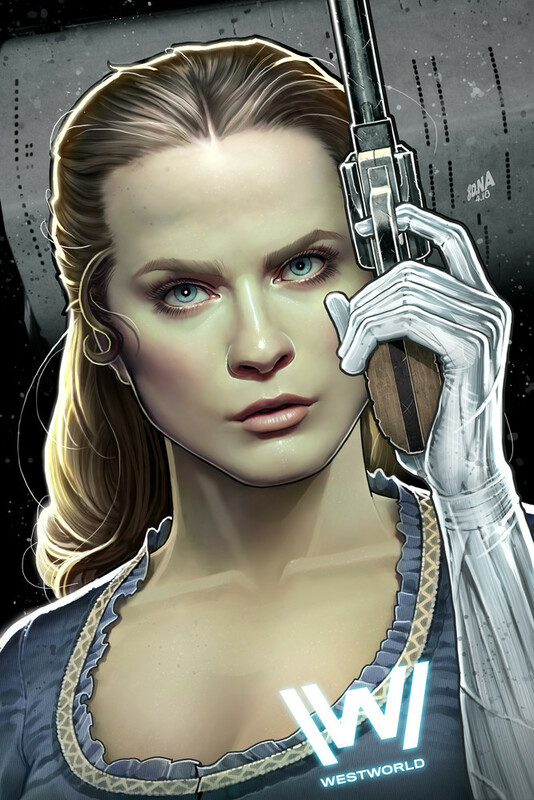 The phase won’t end without giving mention to Wyatt, who is featured as an opponent within a Westworld storyline, with his personality merging with Dolores’ to provide her with a harsh and cruel side. Within the park, the story of Wyatt had reached near-mythical proportions. Remember he was known as a mysterious figure who massacred an entire town? In the greater part of season 1, people believed that Wyatt was Teddy or one of the old civil war generals. Nevertheless, the details of his figure remain scanty, but ultimately, it’s most clear that Dolores equals Wyatt. The 30 years ago storyline gravitated around William-the present day man in Black. He is one of the outstanding memories triggered by current Dolores problems. In summary, Ford began to play around with Dolores programming. This would literally allow him access memories which would make her achieve consciousness or the bicameral mind. In this timeline, we see Dolores breaking away from her loop. With William getting so obsessed with the hostess obsession with the hostess. It later emerges that he starts questioning the nature of his reality. Again, we get to understand that the mission of Ford and the Man in Black is one-getting the hosts’ consciousness. The target is however Dolores. Our first encounter with Dolores in the present day timeline is in Westworld season 1 episode 1. When we meet present-day Dolores in Westworld Season 1 Episode 1, she’s living on the outskirts of town with her parents. She’s appears getting up before the crack of dawn, heading to town, meeting with her lover Teddy and then witnessing her family getting massacred. Notably, the role of the present day Dolores is to fulfill the secret plan of Ford- that of hosts achieving consciousness. Dolores is one of the several hosts in Episode 1. We also get to see Ford installing an update that made the hosts act out character. The update is Ford’s secret plan to continue the work of Arnold. Amazingly, the update would work towards self-realization for Dolores; something spotted within the first episode. At this point, Westworld proves the fact that hosts can’t hurt even an insect. It is during this time that Dolores’ cognition comes out strong in subsequent episodes. This was facilitated by her frequent run-ins with The Man in Black (AKA William from the past) – who doubles up has having a goal of helping the hosts reach the consciousness state. Dolores immediately goes off script, and we see her revisiting her old memories and traumatizing moments from her past events. Amazingly, Fords plan gets fulfilled in accessing this trauma. Accessing this trauma is part of Ford’s plan—he even had Bernard bury her old rifle purposely to get her to override her pacifist programming. It is during the flashing in and out of her with William that Dolores eventually reaches consciousness. Wow!! It happens during a long-awaited confrontation with The Man in Black at the proverbial center of The Maze- the metaphoric key to the hosts’ ability to exercise free will. Now, Dolores becomes the first ever to achieve a bicameral-mind, which means she can access her inner voice and make decisions. This is also captured where she interviews herself. Earlier in episode 1, Dolores tells Teddy about the Judas steer that leads a herd of cattle-the statement was a foreshadow of Dolores rise to a leadership position. The sylish end brings us to a new Dolores, as she exhibits her individuality coupled with an ability to make up her mind to eliminate Ford, in a party with rich attendance. Doesn’t it leave us with the question; what is lined up for us next?